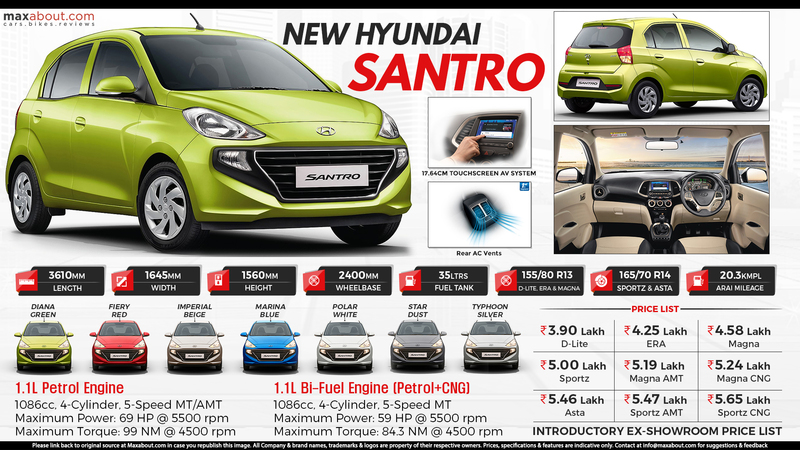 Hyundai Santro is now official for India, starting with a price tag of INR 3,89,900. The car is available in 9 variants, two of them carrying CNG feature and two with AMT as standard. The Magna and Sportz variant are the most versatile ones across the lineup while buyers looking for class-leading features must consider the Santro Asta at INR 5,45,900. The top-spec variant comes with a reverse parking camera, parking sensors and rear wiper/washer as segment-first features.